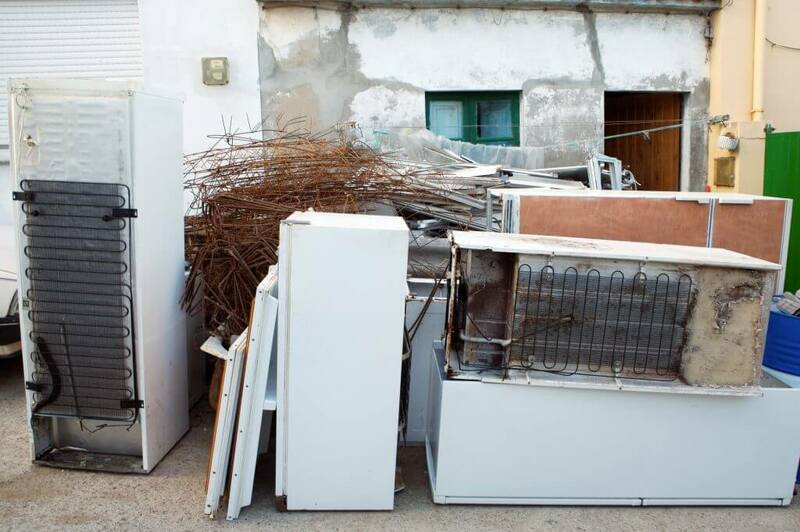 Use Junk Lion® for appliance removal, dishwasher pick-up, washer and dryer disposal, and scrap metal pick up in New Jersey. Why bother fixing an old, broken down, dirty appliance? The cost to fix it is often close to the cost or even more than the cost of a buying a new one. As a matter of fact, the chances are pretty high that investing in a modern and energy efficient appliance will make your money up sooner than you might imagine. and basically anything heavy and metal that you want out of your life for good! Make sure to call us to handle the disposal of unwanted items left behind from an eviction cleanout, home remodel or a foreclosure cleanout. Appliances can harbor bacteria, mold and mildew! When my boyfriend sold his house, he had a pile of junk and unsold furniture to deal with before the settlement. We found him on an online site two days before the settlement. A representative came right away to assess the job, came back later that night to start the job. He had another job the next night but he came back as promised to finish the job. He worked late into the night to complete the work, and it was thoroughly done. We made the settlement the next morning. (Junk Lion™) is very professional, responsive, friendly and courteous. I would recommend them to anyone who's looking to handle junk. (Junk Lion™) did a whole house cleanout for me. They gave me a very fair price and performed the cleanout in several days. They stayed in contact with me by phone as they progressed. When finished, they took pictures to show the work that was done. I was very impressed with the thoroughness of the job. (Junk Lion™) is very personable and professional. I would highly recommend this company and their services. Fast, Friendly, Reasonable Price. Would use again! This was the best service I've had in a long time. They had the best price and did the job efficiently. The representative was prompt and it was a pleasure to meet him on a business level as well as a personal level. On time and very dependable. Great customer service! (Junk Lion) was friendly and prompt. He assessed our needs quickly and was very efficient. We will call him again for future assistance in this regard. Junk Lion® is a full service junk removal company. Formerly, we were known as Call the Junkman.